Step 1 Add all ingredients to a food processor or high-powered blender. Process until smooth and creamy (about 1-2 minutes), stopping every now and then to scrape the bowl down. Step 2 Season to taste and serve with veggie sticks or brown rice crackers. Dip will keep in an airtight container in the fridge for up to five days. 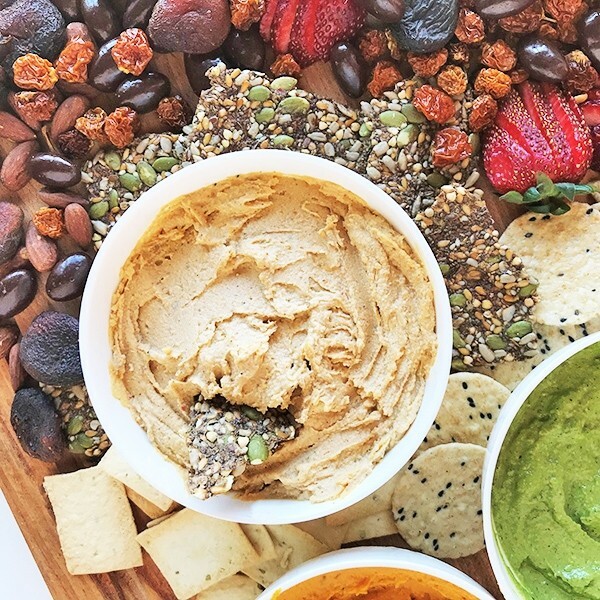 This recipe takes everyone's favourite Hummus and includes protein-packed hemp seeds. It's great for dipping, spreading and snacking!